The Environmental Protection Agency’s latest toxic-release inventory shows that Utah is fourth out of 56 states and territories when it comes to chemical releases per square mile. The report indicates 8.3 million pounds of chemicals were released into Utah’s air in 2015, and another 110,000 pounds were emitted into the water. About 80 percent of the airborne chemicals were made up of hydrochloric acid and chlorine. U.S. Magnesium LLC, alone releases about 5.9 million pounds of chemicals, a bulk of the total. Tom Tripp is U.S. Magnesium’s technical services manager and environmental control falls under his purview. He said the plant, located on the western side of the Great Salt Lake, is permitted to release chlorine and it complies with federal and state regulations. Tripp notes that where the chlorine enters the air is a considerable distance from populated areas. 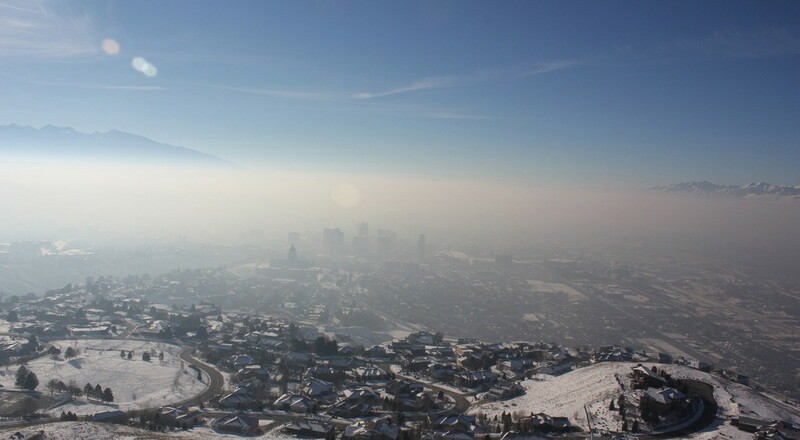 The quality of the air in Utah is a longstanding concern. Richard Mylott, EPA spokesman, confirms that there is not a direct relationship between air quality and chemical releases that are documented in the toxin release inventory, however. 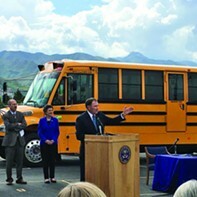 “While the TRI plays an important role in making people aware of these emissions from facilities, they are generally separate from the fine particle and ozone precursor emissions associated with fuel combustion, industrial facilities, dust, fires and other sources that can affect air quality along the Wasatch Front,” he says via email. 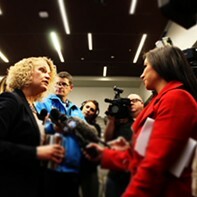 Donna Spangler, spokesperson for the Utah Department of Environmental Quality, sees the report in a different light. She says TRI includes in its numbers waste that is relocated but doesn’t necessarily filter into the air or water. “The TRI is useful to get a glimpse of the pollution, but at the same time it can be misleading since it does count each time waste rock is moved from one location to another,” she says. The EPA reports Rio Tinto Kennecott, the state’s mammoth copper mine, contributed more than 200 million pounds of waste from the concentrators and power plant, as well as the copper smelters and refineries. 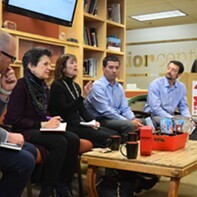 Kyle Bennett, spokesperson for Rio Tinto Kennecott says the mine moves tons of waste rock that contain specks of metal, which the mine includes in its reporting. The mine is routinely ranked high on the TRI reports. “We move all of this material, and that material has naturally occurring trace levels of lead, zinc and copper. The concentration of that also makes a difference. So the fact that we’re moving so much with these concentrations is what puts us at a high position on the list,” he says. The material is stored in permitted facilities, Bennett adds. Walker also says framing the data per square mile dilutes the numbers.